We believe you deserve the absolute best when it comes to your home – your lawn care is no exception. We'll give you a beautifully green, vibrant lawn in every season. From lawn care and tree & shrub care to grub control and core aeration, you can count on us to handle all of your lawn care needs! We'll even decorate your lawn for Christmas and keep fleas and ticks out! With over 47 years of experience in the industry, we’ve earned a reputation in the local community for our great relationships with our clients. Just read our testimonials and see for yourself! We bring our customers the best service possible through open communication, a commitment to quality work, and the most innovative technology - including tablets, truck printers, and more! The best choice I made is choosing Southern Spray. I have been very satisfied!!! Southern Spray is a lawn care company that is local to Tennessee, meaning we know exactly what it takes to make lawns look their absolute best in the area. With our lawn services, we'll give you a yard that you love in every season! We have offices in Nashville and Memphis, allowing us also service northern Mississippi as well. 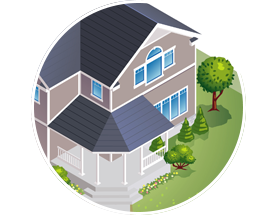 Our services include lawn care, aeration and seeding, tree and shrub care, grub control, flea and tick control, vegetation management, and even Christmas decorating! 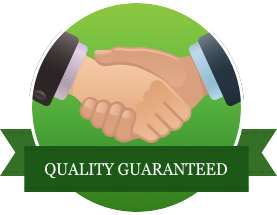 Trust Southern Spray, your one-stop-shop for all things lawn care.